Neurons in the hand communicate tactile (and pain) information to other neurons, and neurons in the brain receive these signals and turn them into the conscious sensation of touch (or pain). But what does it mean to say that one neuron 'communicates' with another? The neurons don't speak in words. If neuron 1, located within the hand, is activated when you touch an object, how do neurons 2 and 3 know about it? The yellow patch in the illustrations below represents the 'signal' transmitted along the length of neuron 1. When the 'signal' reaches the terminal area of neuron 1, neurotransmitters (shown as little green circles) spill out of the neuron and cross the tiny gap (the synapse) between the two neurons. The neurotransmitter will bind to receptor sites on neuron 2. 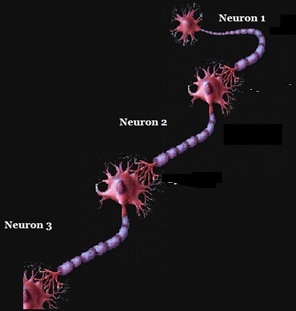 This causes neuron 2 to generate a signal that moves along its length and causes release of neurotransmitter which binds to receptors on neuron 3, etc. In order to speak more clearly about the communication between neurons, we'll need to refer to the four major parts of neurons, the soma, dendrites, axon, and terminal. The axon is the long, thin portion that carries the signal along the neuron to the terminal. A single axon can be so long that it extends all the way from your hand to your spinal cord. 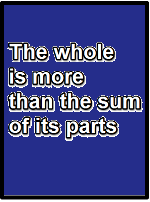 (Imagine the length of an axon in a giraffe.) The terminal is where the neurotransmitter is released. 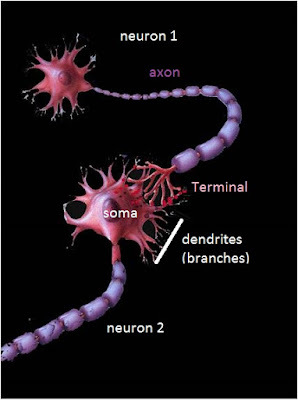 The soma and dendrites are the 'starting' areas of the neuron, and contain the receptors which receive neurotransmitters released by other neurons. We can now say that touch activates the soma and dendrites of neuron 1, which causes a signal to sweep down its axon. When the signal reaches the terminal of neuron 1, neurotransmitter molecules are released. 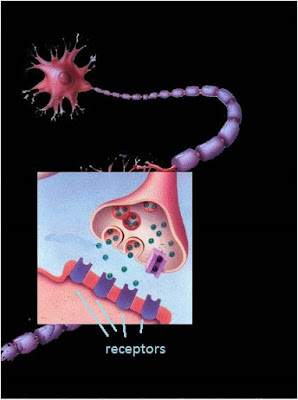 They cross the synapse and bind to receptors on the soma and dendrites of neuron 2. This causes a signal to move along the axon of neuron 2, etc. So returning to where we began, you touch an object, a signal travels down the axon of a neuron in your hand, the signal is communicated to other neurons, ultimately activating neurons in the brain which generate the touch sensation that you experience. You can see then that the touch sensation can be lost in many ways. If neuron 1 does not respond to touch, there will be no signal to reach the brain. If neuron 1 responds to touch, but the 'signal' does not move along the axon, the sensation will not occur. That's how Novocaine and other local anesthetics block sensations -- by preventing signals from moving along axons. 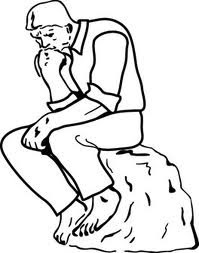 If one or more of the neurons that carry the touch information to the brain fails to release its neurotransmitters, the signal will not move from one neuron to another, just as a broken bridge prevents transportation across a river. On the other hand, if neuron 1 was damaged as the result of fire that injured the hand, an artificial hand containing a device that is sensitive to touch could theoretically restore the person's ability to experience a touch sensation from the artificial hand. 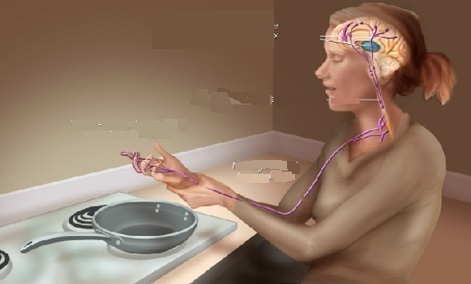 If that "hand" contains a device that activates neuron 2 in exactly the same way that neuron 1 used to activate it when the real hand touched an object, the person's sense of touch might be restored. Neuroscientists and biomedical engineers are working collaboratively on these types of things. 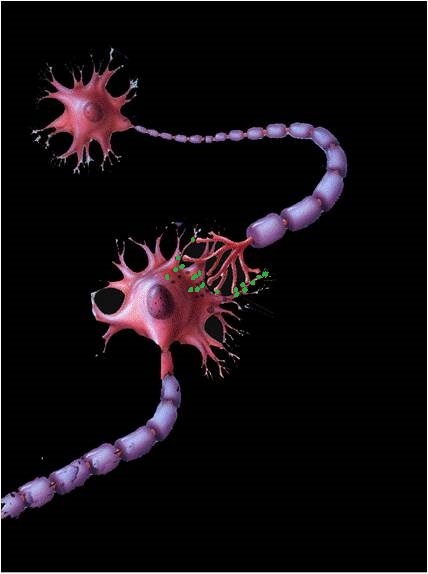 Next time: What is really meant by a 'signal' that sweeps along the axons of the neurons?